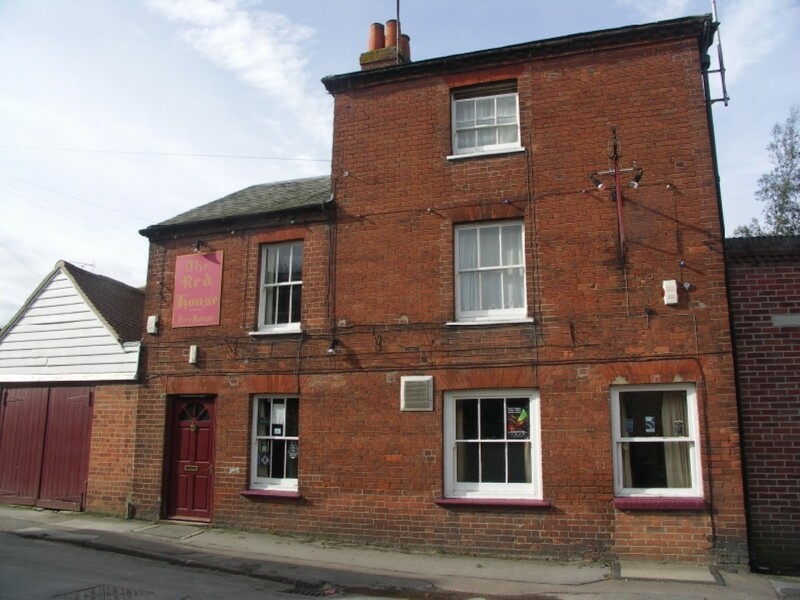 the Hodges’ time – their home was incorporated into the pub (the left-hand section of the current pub). Sidney was born in Newbury on 5 November 1888, the only child of George Hodges and his wife Mary Jane (née Whiting). George earned a living first as a groom and later as a gardener; the family lived at 3 Castle View, Newtown Road from around the time of Sidney’s birth until 1896/7 when they moved to Hampton Road (next door to the Red House) where they remained throughout Sidney’s childhood. Sidney was educated at St John’s Infants’ School and St Nicolas’ School (aka Newbury National School). George died in 1902 and was buried in Newtown Road Cemetery on 9 October. Sidney was 13 – past the minimum school leaving age; if George’s death left the family in financial difficulty it might be expected that Sidney would have been removed from school to earn some cash to help out. However, this didn’t happen, he remained at school for another year (until 3 October 1903) when he left for a job as an errand boy. By 1911 he was working as an assistant in a local grocery store (perhaps the same store that hired him to run errands). In 1913 Mary moved to a house called Littlecote in Salcombe Road, but Sidney was not with them there for long, if at all, that year he married Mary Ellen Lawrence. He was not an eager recruit to the King’s service and waited until conscription gave him no choice. 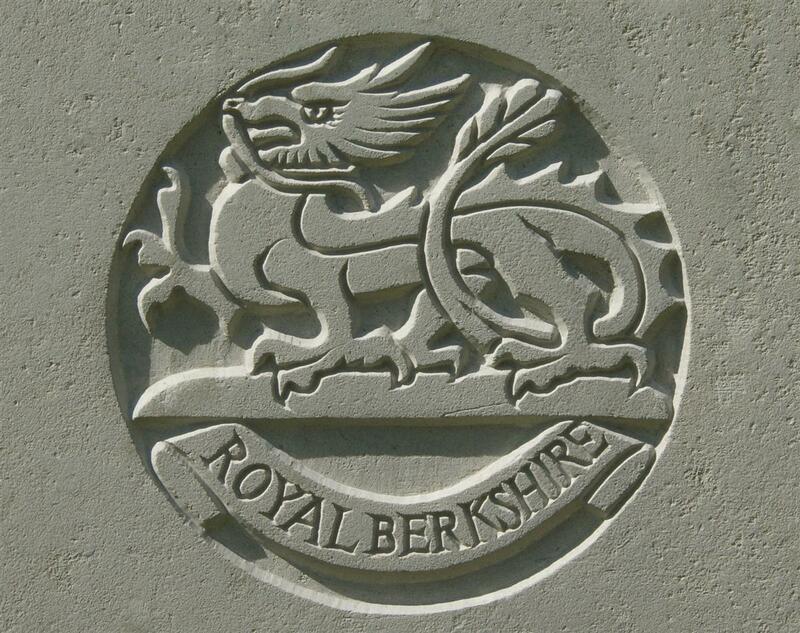 After training (usually around six months) he was sent to France where he joined the 1st/4th Battalion, Royal Berkshire Regiment. In theory this was a Territorial battalion, but the ravages of war and conscription meant that, by late 1916, there was little to show the difference between it and a Regular or Service battalion. Sidney was probably not in France for long (his total service was less than a year) before he became ill and was sent to hospital, only two days later he, reportedly, died of acute bronchitis. HODGES – Feb 20, in France, after two days’ illness, Pte S G Hodges, the dearly loved husband of Mary E Hodges, aged 23. HODGES – Feb 20, at Hospital in France, of acute bronchitis, Pte S G Hodges, Royal Berks the only beloved son of the late Mr G Hodges and Mrs Hodges, of Littlecote, Salcombe-road, Newbury, aged 23 years. – Deeply mourned. In both cases his age was given incorrectly, presumably it was given correctly (28) and was misread – though it is strange that it happened twice. The circumstances of his death, as reported, combined with the location of his burial (grave C. 2 at Eclusier Communal Cemetery, Eclusier-Vaux) suggest that the ‘hospital’ that was treating him was the 1st/3rd South Midland Field Ambulance, which was based for a few weeks near Eclusier (very close to the cemetery). Field Ambulances were, despite the modern connotation of the word, not vehicles but forward medical facilities equipped and manned to recover the wounded from the field, set up advanced dressing stations and evacuate wounded to the unit’s own hospital facility. There the wounded would be triaged; emergency cases might be operated on, but most wounded would be evacuated back to better equipped medical facilities or patched up and sent back to their units. Back home Sidney is remembered on Tablet 13 of the Newbury Town War Memorial, the parish memorial board and roll of honour in St Nicolas’ Church. 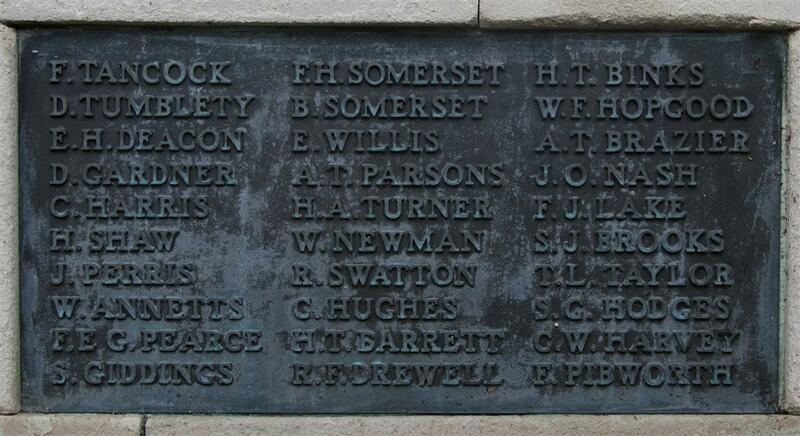 His name was also on the roll of honour in St John’s Church (destroyed by a German bomb in 1943). He is also remembered on the headstone on his parents’ grave in Newtown Road Cemetery. The inscription includes: Also of Sidney George Hodges only son of the above who died on active service in France Feb 20th 1917 aged 28 years.